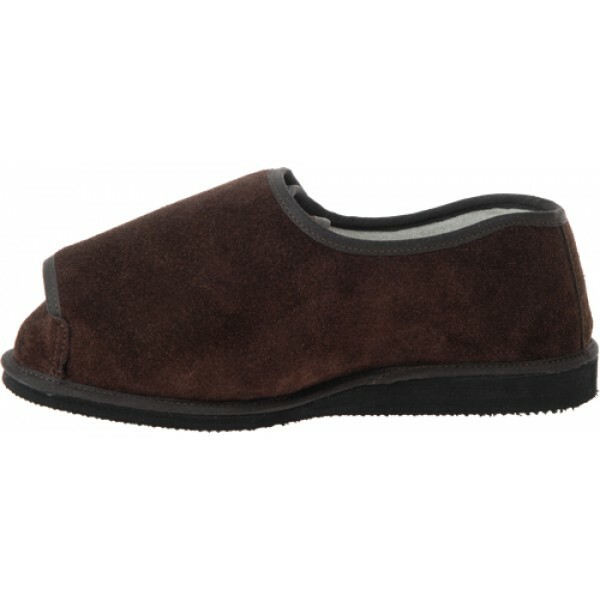 Unisex Rowan Suede Slipper / Shoe For Swollen Feet. 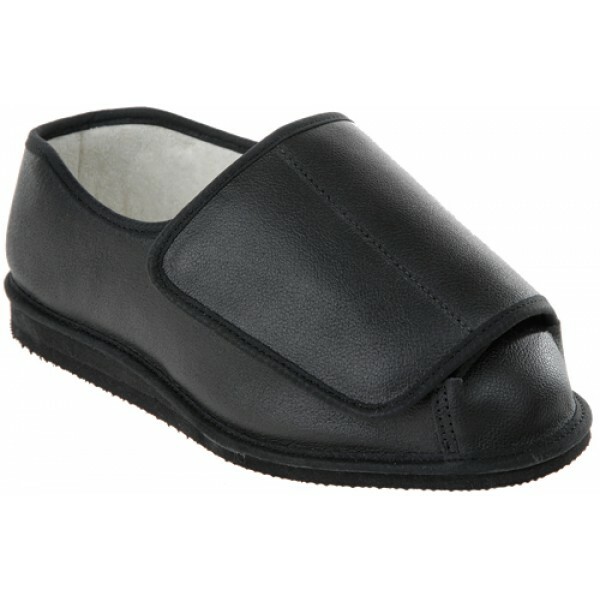 A unisex slipper-shoe for exceptionally swollen or bandaged feet. 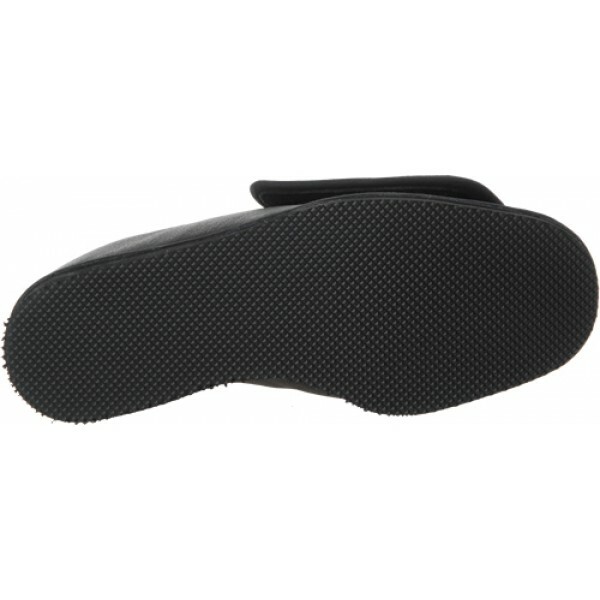 Designed for exceptional swelling or heavy bandaging, Rowan is ideal when nothing else fits.Supple as a slipper but supportive as a shoe, it's surprisingly neat on the foot. It's very adjustable with an extra low opening so it's easy to put on and has super-light soles so you'll hardly know you are wearing them. 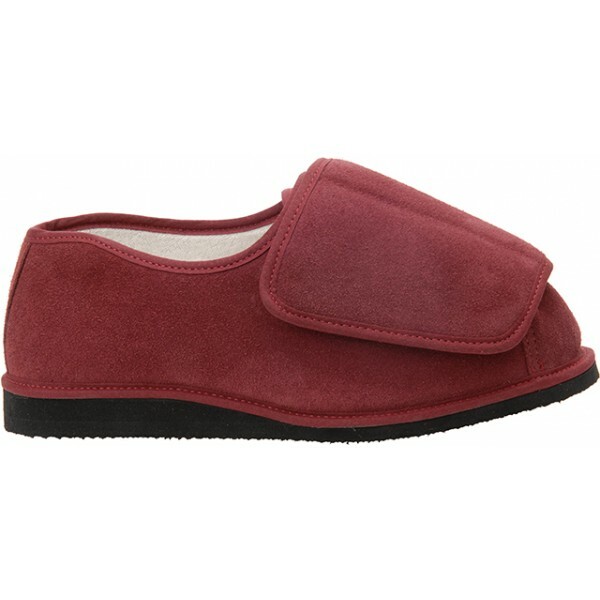 Very pleased with product although the period between order and receiving the slippers was quite long. I was starting to concern myself that things were not going well! I ordered these because my feet swell up with water retention they achieve both massive too just slight swelling. 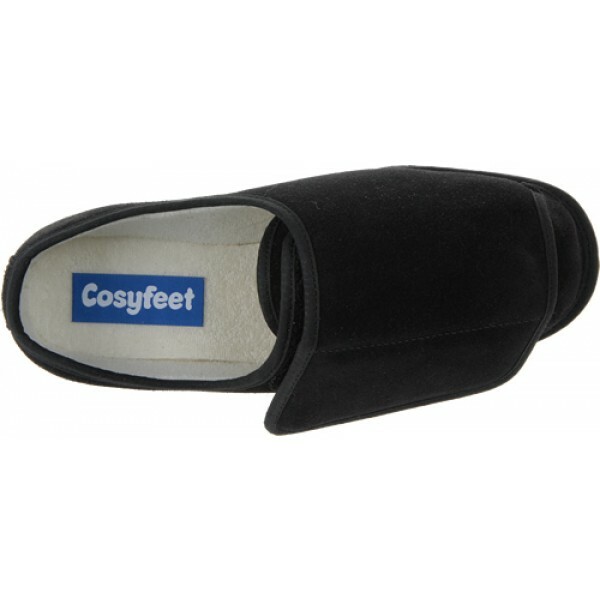 The slippers are brilliant as they are fully adjustable from tip to toe to any size. they also have a good solid soul which helps with my balance. Id rate them the best slippers in town. 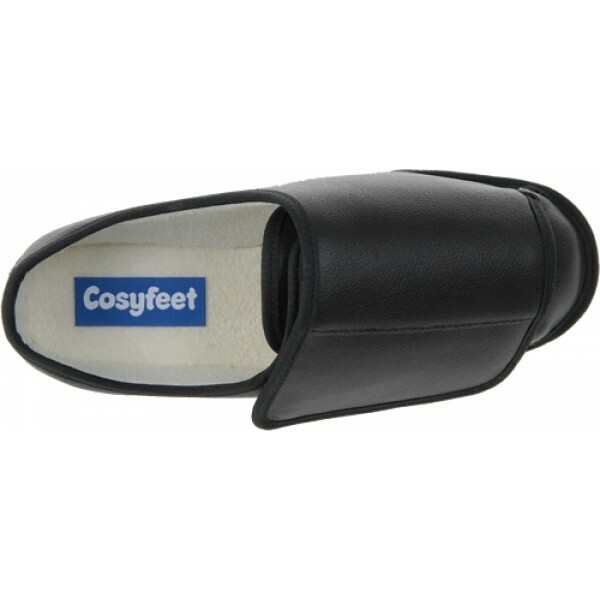 These are great for me , I currently have large bandages on my feet and literally couldn\'t get any footwear suitable to fit me, My Daughter discovered this website and these shoes and ordered them , they are amazing and I actually have plenty of room for adjustment too ! Very happy !